You can configure which alerts you wish to see. If you disable an alert type you will no longer receive that type of notification by email. B) A project level basis – see “*Project Options”* in each project. When someone is assigned a task they are sent a notification by email. You can prevent this email being sent on each task – see the “Notify User” checkbox. This is on by default. In Account Settings you can choose whether sending the alert to the assigned person is ON or OFF by default in every task. The Reply Expected dates that have been set in the task. – The task assigner can set a date when they are expecting a response from the assigned. *Task Reminders that have been set. 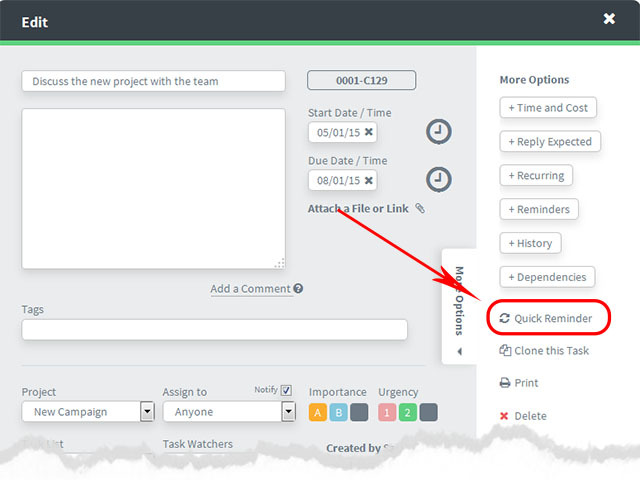 – The task assigner can set dates when they want reminders to be sent out to the assignee and / or Task Watchers. You’ve been added to a project – This is sent to any team member when they are added to a project. Cannot be blocked. You’re sharing a project – An invite sent to any new or existing Dooster user when they are added to a project as a sharer. Cannot be blocked. Welcome to Dooster – The message sent to anyone added to Dooster. 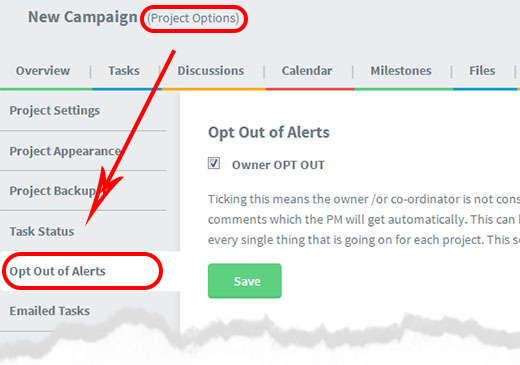 The Owner/ Co-Owners / Project Managers will get a copy of every single task notification for a project if they unselect the Opt out (project settings >> Owner Opt Out). Opting out reduces the amount of email notifications they get. (The default setting for new accounts and projects is for everyone to be Opted Out).